- cheer our boys on during the grueling Cape Pioneer Trek! In under a decade, 7 134 rhino have been killed in South Africa alone. Once again, the Gondwana team will be riding the Cape Pioneer Trek, presented by Biogen, presented by Biogen, to raise funds to continue the fight against rhino poaching in South Africa. Our team this year consists of Devon Naude and Tristan Sandwith from Table Mountain Bikers Club in Cape Town who will be slogging it out for 7 days, from October 15 to 21. The 7-day race stretches a grueling 572km in distance with an overall ascent of 10,650 meters in and around the Garden Route near Mossel Bay and they aim to raise R1000 per kilometer or R572 000 for the Gondwana Conservation Foundation (GCF). The first stage of the race will be traversing through Gondwana Game Reserve and has been named #GondwanaGlory by the organizers. All donations of R1000 or more will be entered to win a luxury safari weekend for 2 at Gondwana Game Reserve inclusive of all meals and game drives worth over R16,000. The poaching of Rhino in Southern Africa, and in South Africa in particular, has been increasing exponentially over the past five years. In 2013 more rhino were killed than born. 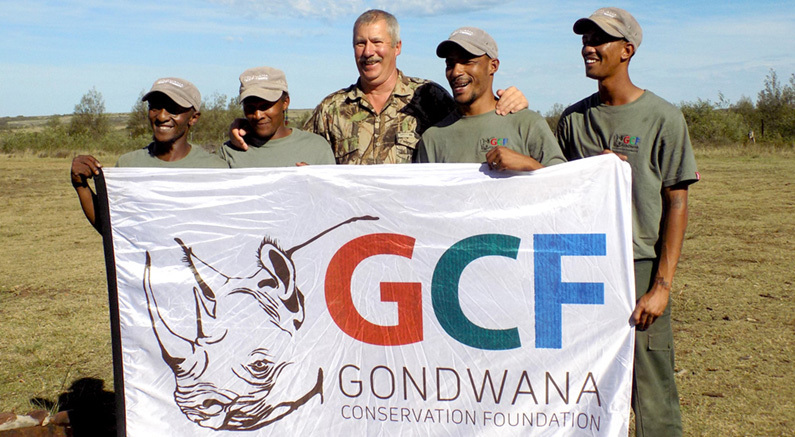 To combat this increase in poaching incidents, the Gondwana Conservation Foundation launched the Rainbow Rhino Initiative. Gondwana feels this epic mountain bike race is a fantastic platform to raise awareness for the GCF’s Rainbow Rhino Initiative which has 3 tactical approaches to contribute to this epidemic. Firstly, the foundation has established a counter poaching training camp which sponsors courses focusing on tracking, crime scene investigation and drone surveillance. Second, the initiative is developing a core breeding population of rhino from which a custodianship program can be launched, distributing new founder populations of rhino throughout Africa together with trained anti-poaching units. Third, the GCF is partnering with technology companies to create interactive awareness of rhino relocations through the latest GPS and drone technology allowing international communities to follow real time movement and imagery of individual rhino. The foundation has also played an integral role facilitating all key anti-poaching role players in the region including SAPS, Cape Nature, State Vets, Game Rangers Association of Africa, and the private sector to coordinate rhino poaching crime scene roles and responsibilities. 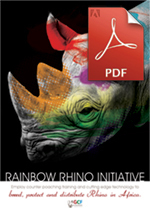 The cyclists goal is to raise R1,000 per Km or R572,000 for the Rainbow Rhino Initiative. Last year funds raised through the Cape Pioneer Trek helped to complete the anti-poaching training facility on the 11,000 hectare, Big 5 reserve as well as purchase a rhino cow and calf to add to the core breeding population. The funds raised this year would go to securing vital training equipment needed, including night vision glasses, safety equipment, lecturing equipment as well as subsidizing multiple training courses over the next 12 months. Follow our team’s progress on the GCF & Gondwana Facebook pages and blogs! The second course sponsored was a five-week Security Ranger Program which took place in March/April 2017 at Camp Charleston where eight candidates working in private and public parks attended. This training provided these individuals with the necessary qualifications and skills to be legal and competent security rangers in protected areas and game reserves. The foundation has funds to sponsor three more courses this year. Rhinos in the wild will be extinct by 2020 if the levels of poaching continue, experts have warned. 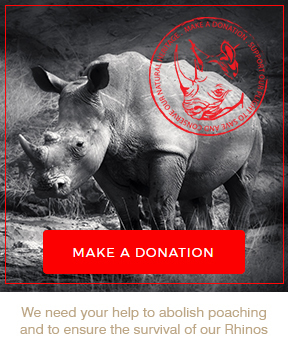 Donate towards the Rainbow Rhino Initiative and help us make headway against the increasing poaching epidemic to protect our threatened rhino across Africa. Spread the word! Rhino poaching needs everyone’s help to stop it! GCF is calling on all corporates and individuals with a passion for conservation and an interest in saving our rhino to please donate to this worthy cause and cheer our boys on during this exciting but strenuous event! Please also send an email notifying us of your contribution with name/organisation and sponsored KM’s to marketing@gondwanagr.co.za – all contributors will be mentioned and thanked on social media platforms and in Gondwana’s end of year newsletter. Our team will be riding in style this year with a very generous kit sponsorship from Ciovita. Inspired by the cycling passion of Italy, Ciovita design and manufacture high quality performance cycling clothing. With full in house production at their state of the art facilities their kit is rigorously tested and constantly improved to ensure that you are always inspired to ride. We are very grateful for Ciovita’s sponsorship and coming on board to support our Rhino. The aim is to raise R527 000 – so please get donating!